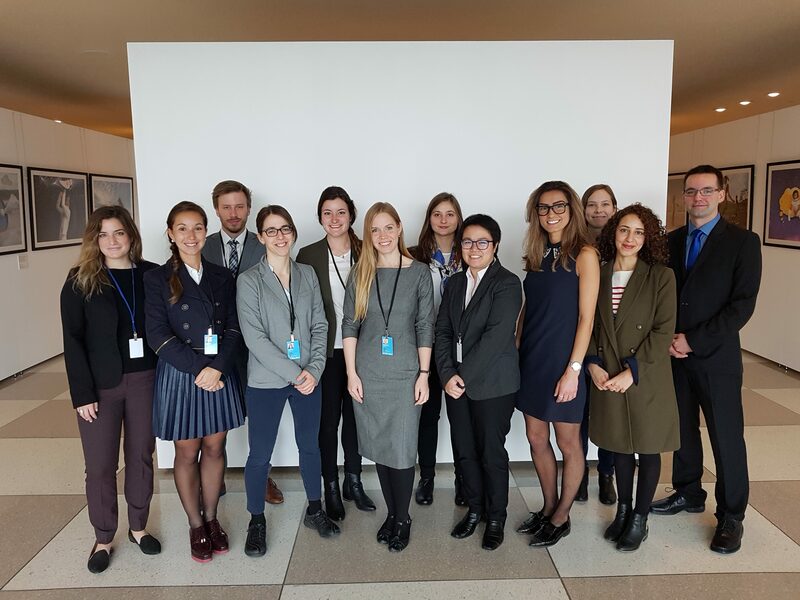 Between 2016 and 2021, the Canadian Partnership for International Justice will set up and fund the attendance of a delegation of Canadian students, headed by academics and practitioners from academic institutions and NGOs, to the Assembly of States Parties to the International Criminal Court (“ASP”) which takes place in The Hague or in New York at the end of each year. to visit relevant international institutions. Through this activity, the Partnership trains a cohort of students who are educated, engaged and networked in international and transnational law, while training and educating diverse Canadian audiences about the challenges, pitfalls and potential of the system of international justice, and about the priorities to improve the system. It also enhances Canada’s role as a global leader in the fight against impunity. This year, the Canadian Partnership for International Justice will fund the attendance of a delegation of students to the ASP which will take place December 5th to 12th 2018 in The Hague (Netherlands). Applications are accepted until the October 14th, 2018. Being able to get a visa for and to fly to the Netherlands before December 5th. The ASP is a very demanding activity. Members of the delegation are requested to work long hours throughout the day. It is strongly recommended that students avoid other kinds of deadlines during or after the ASP. Priority is given to applicants who have never received funding from the Canadian Partnership for International Justice. Your application must include your resume and relevant transcripts as well as a motivation letter explaining how your application meets the evaluation criteria. You are strongly invited to write few paragraphs of your motivation letter in French if your application is in English and vice-versa. Upload your application and fill in the application form below before October 14th to apply.